The NFRMPO creates maps using GIS (geographic information systems) for use in plans, documents, and other official documents. Data is collected through local, state, federal, and private sources. To ensure the data is current, the NFRMPO updates its data collection by reaching out to public agencies, finding online resources, and creating its own when needed. Maps also act as the basis for analysis in planning efforts. For example, Environmental Justice maps allow NFRMPO staff to ensure no one population is more negatively impacted by new or ongoing transportation projects than others. Using Census and local data, the NFRMPO can provide feedback on projects to protect these populations. NFRMPO staff can produce maps for member communities and their consultants. 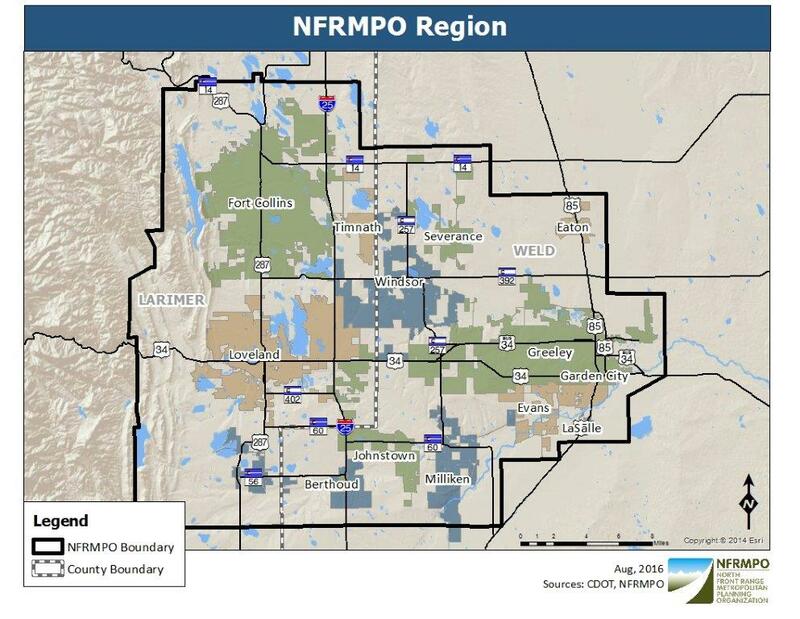 For inquiries, contact Becky Karasko, AICP at bkarasko@nfrmpo.org or (970) 416-2257.